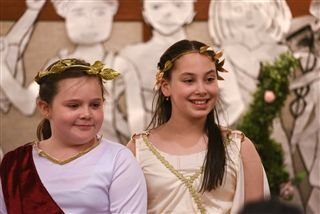 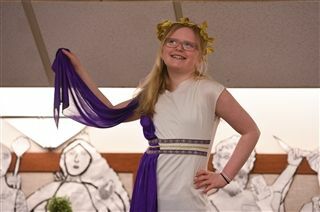 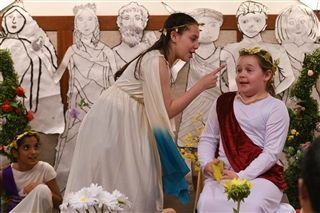 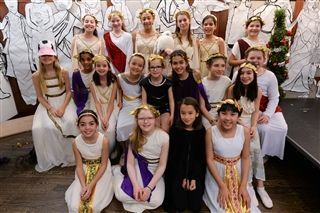 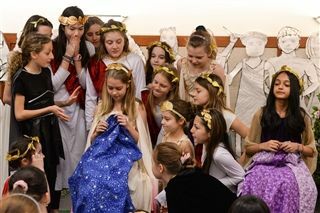 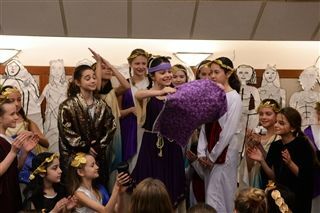 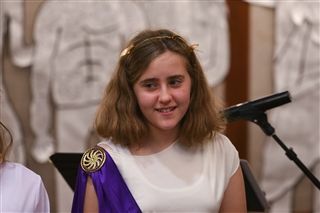 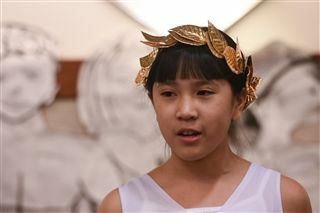 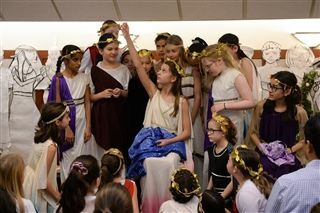 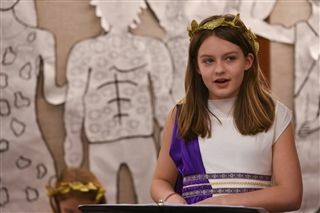 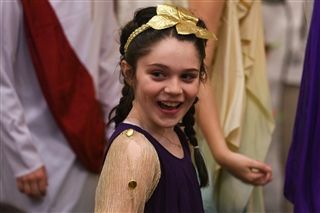 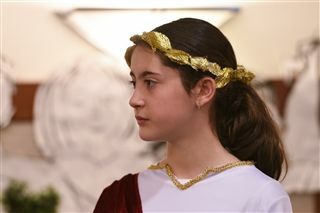 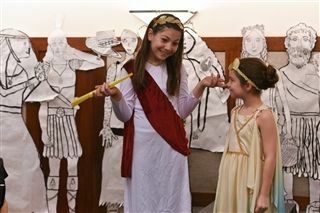 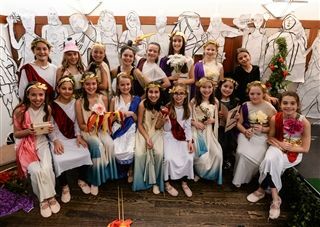 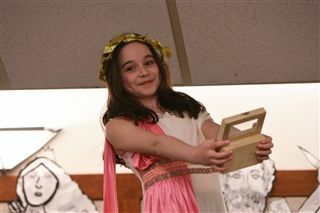 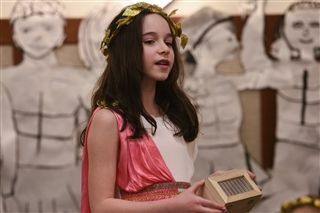 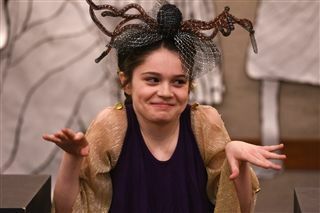 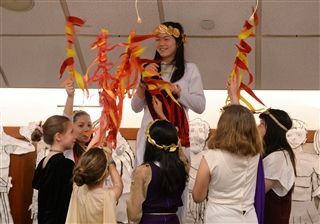 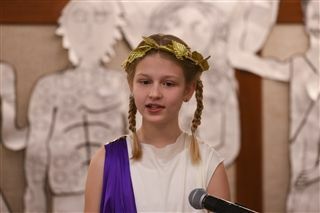 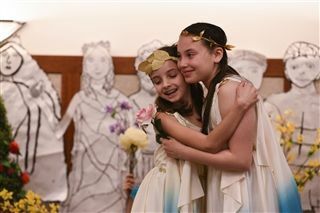 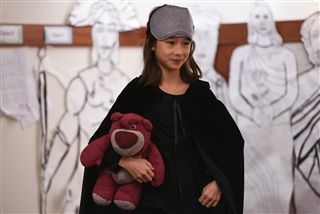 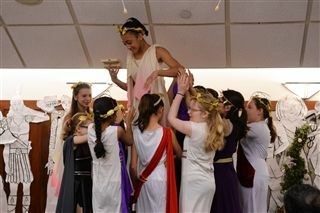 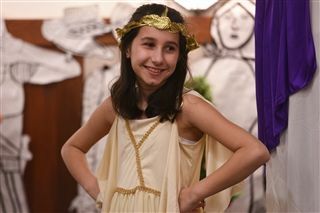 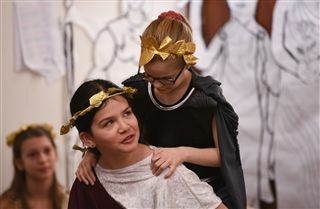 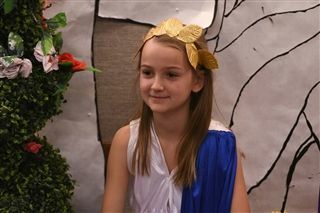 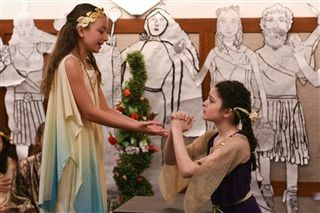 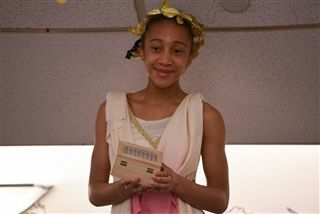 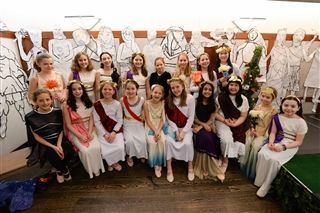 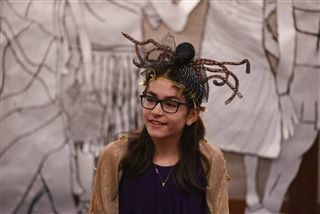 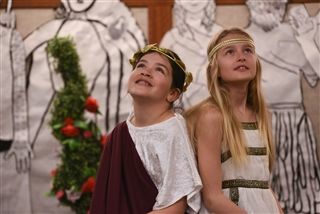 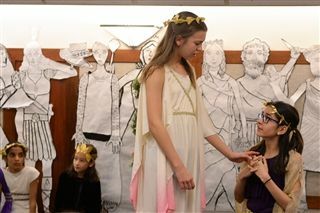 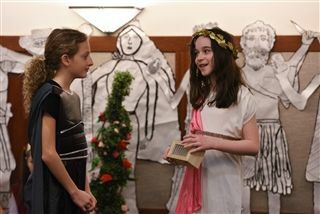 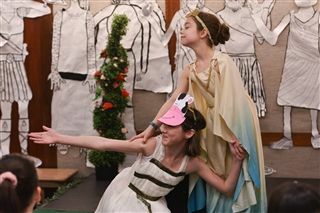 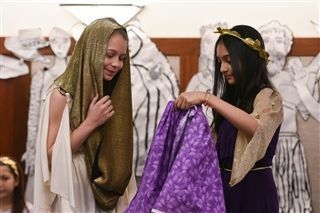 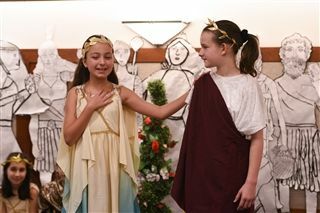 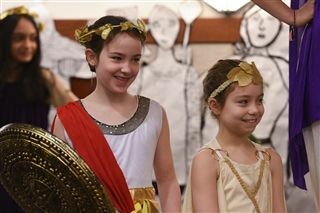 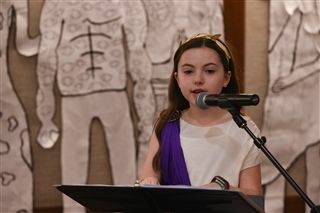 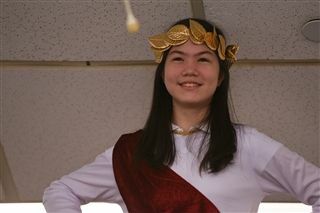 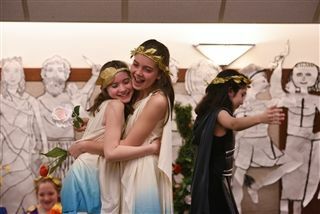 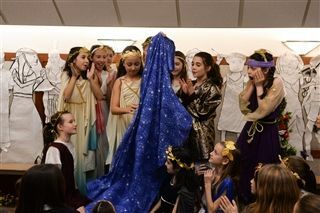 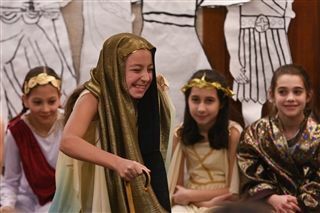 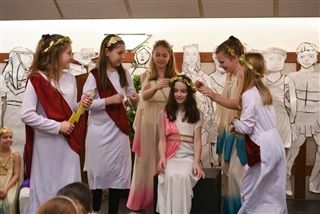 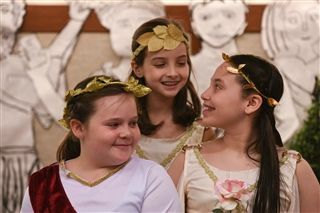 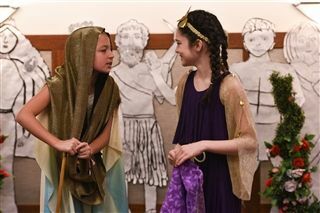 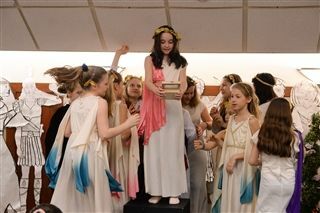 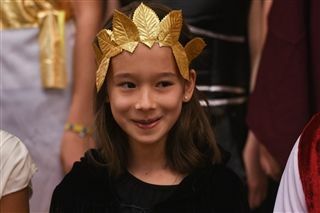 The gods and goddesses of Mount Olympus descended to 82nd Street when Class V presented their dramatic presentation of "Mythology." 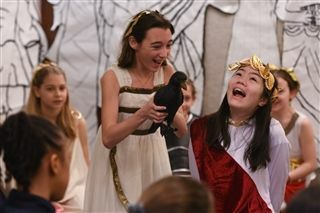 Through storytelling, dramatic narrative, song, and art, the ancient myths of Greece were brought to life with refreshing humor, remarkable characterization, and delightful energy. 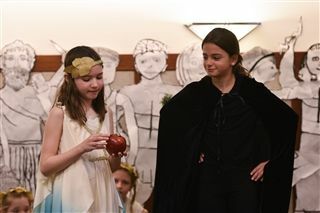 From Hera's rage, to Pandora's curiosity, Class V gave an informative dramatization of the most popular myths and how they were used to clarify some of the universe's most interesting questions. 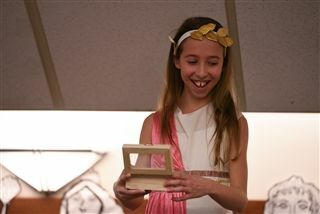 This integrated project incorporated students' work in social studies, language arts, visual arts, drama, and music.